Who needs dental restorations? Potentially, everyone. If you have been in an accident, dental restorations can be used to fix a tooth that has been cracked, chipped, or damaged. 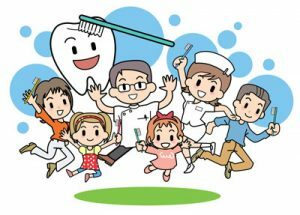 Even if you are fastidious about your oral health care, it is entirely possible to damage a tooth during a car wreck, sports accident, or while playing with the kids. When this happens, it is important to visit a cosmetic dentist – someone who can restore your tooth in a way that makes it look as though the accident never happened. We have several ways of doing so. When a tooth sustains any amount of damage, a crown may be the most efficient way to restore the tooth. A dental crown is the most durable restoration we offer. A crown is a cap that surrounds the tooth entirely, making it ideal when a tooth has a severe crack, chip, or much of the enamel is missing. In this case, a crown will surround the tooth and prevent anything from touching it. Thus, an individual can bite down with full force without concern of irritation. While dental crowns have traditionally been silver, they can now also consist of a tooth-colored material so they blend in with the surrounding teeth. This is perhaps the easiest and fastest way to restore a tooth because we can complete the bonding process without needing help from the dental lab. We can use bonding to restore teeth that have been cracked or chipped. To begin, we need to slightly roughen the tooth and apply a moisturizing solution. Next, we will place the bonding material onto the tooth, shape it in place so the tooth for a natural appearance and then harden it with a special dental light. Since this is a non-invasive procedure that we can complete quickly, there is typically no need for anesthesia. Thus, the procedure is ideal for both children and busy adults. The only thing to note is that it is not as strong or as long-lasting as a dental crown, so if the damage is severe, the patient may want to consider alternative options. We can complete dental restorations that will both restore the damaged tooth and correct aesthetic issues with the surrounding ones. Many of our patients elect to do both at the same time, so their entire smile looks amazing. This is where veneers really shine. Veneers are a thin shell that consists of porcelain or ceramic that we bond to the surface of the teeth and use to cover dark stains, close gaps between teeth, change the shape and size, or even make the teeth appear to be straighter. If you are undergoing the process of restoring one of your teeth, you may want to consider having veneers placed on all of your visible teeth. If you are looking for dental restorations, call our office at (425) 365-0828 and schedule a consultation. We will examine you and prepare a plan for how to get your teeth in optimal condition again.